Incumbent mayor Brian Bowman pledged further economic and population growth in Winnipeg during a re-election campaign speech in which he also warned against "visionless" candidates "who want to turn the clock back" to an era when city hall was beholden to special interests. 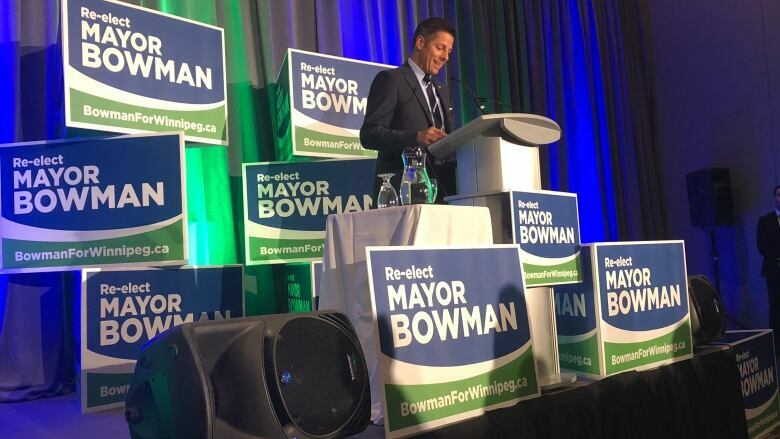 With less than six weeks left in Winnipeg's six-month mayoral election period, Bowman held a formal campaign launch on Thursday night at RBC Convention Centre in front of about 150 friends, family members and supporters. Analysis: Did Brian Bowman err in sitting out the first 4 months of Winnipeg's mayoral race? During a 12-minute speech, he promised to continue growing the city in "a more informed, collaborative and compassionate way" while pledging to keep city hall free of the influence of unions and political parties. "Together we've set a new tone at city hall. We're finally on the right track," said Bowman, praising Winnipeg's efforts in confronting its colonial past and accepting newcomers. "We're tearing down walls that divide as well as those that keep us from understanding each other." Bowman said if Winnipeggers grant him the chance to serve a second term, he will continue fostering the conditions for population growth — the city now has more than 750,000 people — and economic growth, as typified by new mixed-use towers under construction at Winnipeg Square and True North Square. Bowman also warned the growth in Winnipeg's economy and political culture are at risk in this election. "There are candidates who want to turn the clock back, who want to stop what we've achieved, who have no vision for our city," Bowman said. "The days of letting our city languish without a clear vision and strong belief in who we are and what we can achieve together are finally behind us and we simply cannot go back." 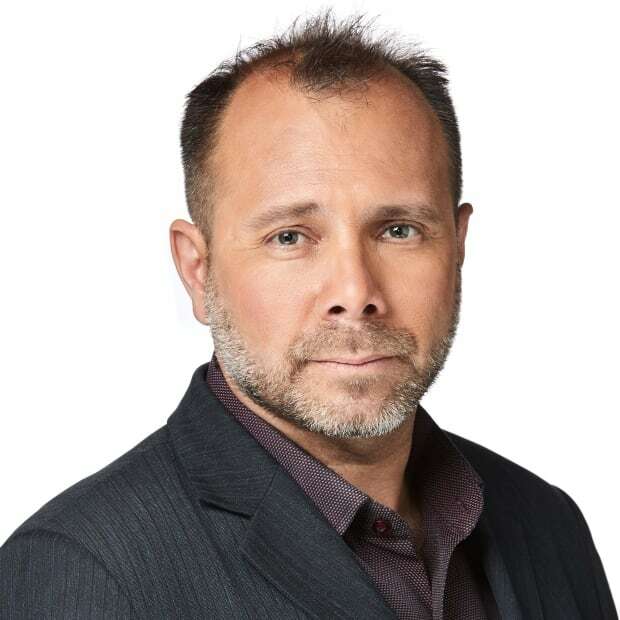 After his speech, Bowman suggested the candidate in question was business-development consultant Jenny Motkaluk, whom he suggested is working with the Winnipeg Police Association, a union that has launched attack ads against Bowman. "If you want an example of old-school partisan politics of division and negativity, that's the choice people can make," Bowman said. "I've worked very hard over the past four years to make a more inclusive city hall and city and you don't do that by tearing people down." Motkaluk campaign manager Keith Poulson said Winnipeg must find new ways to conduct governance and said his candidate consults with experts "all the time" to develop policy. "If the mayor wants to call subject matter experts special interests, that's his problem," Poulson said. While Bowman's speech outlined the tone of his campaign, the incumbent mayor did not make any policy announcements. Those are coming soon, he said. Election day is Oct. 24.